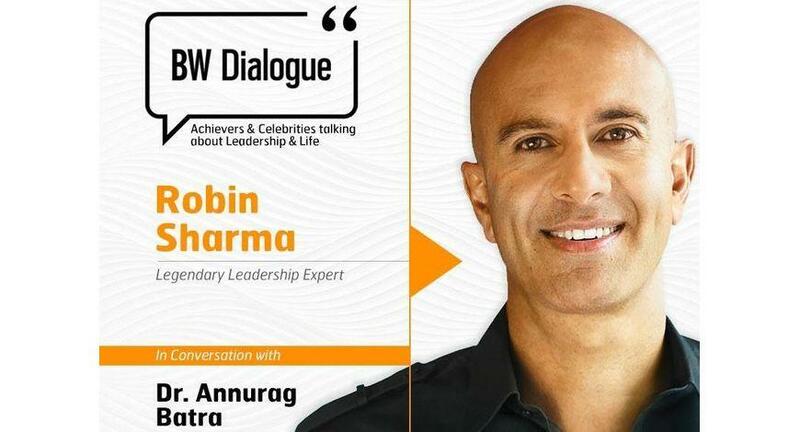 Robin Sharma who ranks among the top 5 leadership experts in the world will be the guest at the upcoming BW Businessworld Dialogue Series. Sharma’s work is embraced by rock stars, royalty, billionaires and many celebrity CEOs. For nearly 20 years, many of the most well-known organizations ranging from Nike, GE, Microsoft, FedEx, PwC, HP and Oracle to NASA, Yale University and YPO have chosen Robin Sharma for their most important events, when nothing less than a world-class speaker will do. His fans and endorsers include Nobel Prize winner Desmond Tutu, rock star Jon Bon Jovi, a member of The British Royal family and heads of state from around the world. BW Dialogue is about having a conversation with achievers, celebrities and eminent personalities about Leadership, Entrepreneurship and Life. These celebrities are from various walks of life viz Sports, Artists, Actors, Authors, and Performers who have made it big in their respective fields with their leadership qualities, talent and way of life.